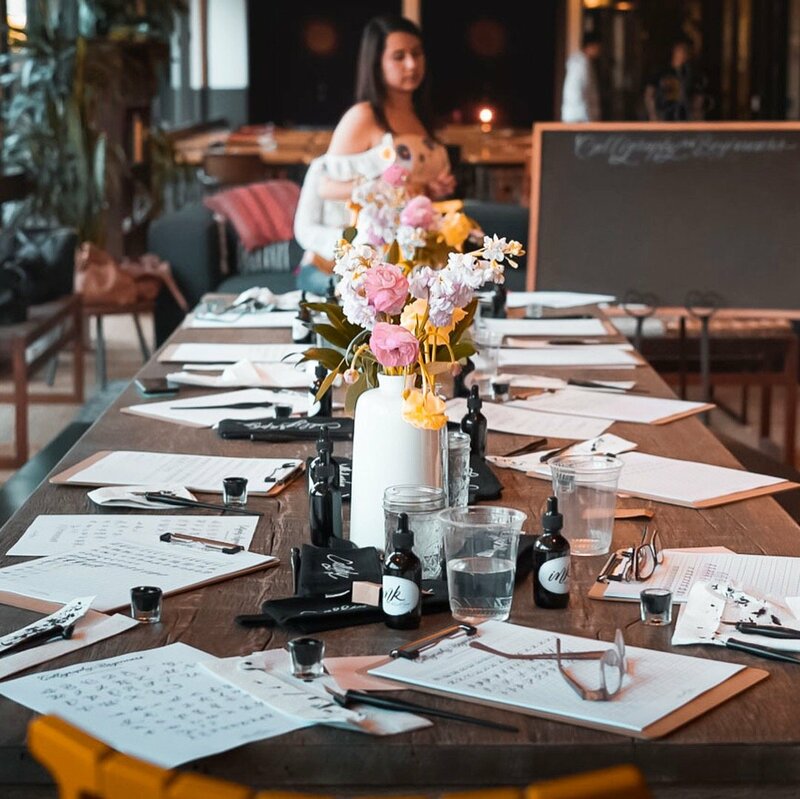 Spend a fun afternoon learning the basics of Calligraphy with Natalie of Threeologie! In this 2 hour workshop you will learn all about the basic tools and proper techniques of Calligraphy. Each student will receive their own calligraphy kit to take home and practice! The kit includes: 2 Pen holders, 2 nibs, 1 bottle of ink, 1 inkwell, a small pen case for your tools and an Instructional Guide. Need a minimum of 8 sign ups. If minimum is not met each person will get a refund. Prefer to learn in person? Join one of my Calligraphy for Beginner Workshops! Everything you learn through The Calligraphy Starter kit is covered in the workshop but with hands-on instruction. To get more information on upcoming events, workshops and freebies sign up for our monthly newsletter. Join The Free Pencil Lettering Challenge! Each week you will receive a new Pencil Lettering Challenge. Subscribe below to receive your first prompt next week!